Lambert Says Sports: ESPN 3 Soccer Channel? The World Wide Leader is Sports Ent. is turning it low rated seldom watched ESPN Classic to ESPN 3. 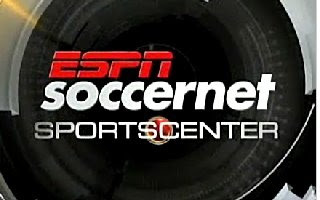 ESPN 3 will counter Fox Sports Soccer. ESPN has been showing allot of interest in European Soccer the past 2 years. The heavy promotion for Wednesday Champions League Soccer has resulted in solid ratings for the Walt Disney Network. So much so that ESPN has even expected to bid on the TV Rights to the English Premiership for the 09-10 season. Housing the League would be the New ESPN 3, who also plans to Push MLS as well as other International Futbol events. I believe that this would be a good investment for ESPN considering the recent revival Futbol in America. If South Africa can't get there facilities together FIFA would have to to turn to the United States to host the 2010 World Cup. Is ESPN 3 hiring? My man needs a job!